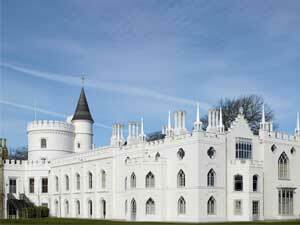 Visitors can celebrate Easter by bringing all the family to Strawberry Hill Garden for the Walpole Explorer Egg Hunt. Explore the House’s popular Woodland Walk along meandering pathways surrounded by emerging spring flowers and Walpole’s towering 300-year old Oak. Tiny treasures hunters will be welcomed to the garden in search of clues and answers to Walpole’s riddles.